My name is Michelle Pretorius and The Monster’s Daughter, which won a FAW literature award, is my debut novel. The paperback of the novel will be released in July by Melville House and it is also available as an audiobook on Audible. I was born and raised in apartheid-era South Africa but left after completing my honors degree in theater. I lived in the UK for a few years, before eventually settling in the United States where I tried my hand at a number of things before taking my first writing class. I realized that this was what I’ve always wanted to do and I completed a Master of Fine Arts program in fiction writing. I am currently a PhD candidate in Creative Writing. You can find more information on me and my work at www.michellepretorius.com which also has links to all my social media accounts. I recently received a fellowship and will use it to spend the next year writing my second novel, Where the Devil Turns. I currently live in Columbus, Ohio, with my two cats, Butch and Mayhem. Crime fiction has interested me since I was a child reading Sherlock Holmes and Nancy Drew novels long past my bedtime. I’ve always been fascinated by the intricacies of plot, and how the pieces fit together and I love figuring that out in my own work. I like how the genre has changed to reflect social realities over the years and how it has been used, not only for social commentary, but also to introduce its audience to new ideas and forgotten truths. Crime fiction is malleable and has been blurring the genre and literature lines for a long time. That aspect is something I play with a lot in my writing, and The Monster’s Daughter, while being mainly a work of crime fiction, also incorporates historical and speculative fiction aspects to tell the story. Lately I’ve also taken an academic interest in crime fiction, especially the increase in the production and consumption of crime fiction in oppressed communities and postcolonial societies. Crime disrupts the world order, but justice is always found within the covers of a crime novel, which has a cathartic effect when we don’t always see justice in the world around us. I tend to start with a social issue that I feel strongly about and then I build my story around that. More than anything, I think, my work has been driven by research. 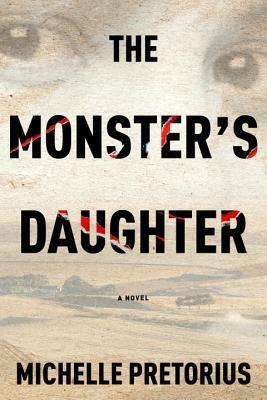 The Monster’s Daughter started with research into the Boer War which spiraled out of control once I realized how that history couldn’t be isolated, but rippled through to modern-day South African society. Place is also a big factor and research, plot, and characters only started coming together for me once I visited friends on their isolated farm in the Western Cape. Interestingly, it was the relative absence of major crime in this area, as compared to the rest of the country, that sparked the nascent stages of the novel. It varies, depending on the classes I take and when I teach, but I found that afternoons work best for me. I like to get chores and appointments out of the way so that I only have to focus on the page in front of me for as long as possible. I set a minimum word count of 1000 words a day. It keeps the momentum of the work going on off days even if I scrap some of it later. I’m not very sentimental about my writing and rarely try to hold on to something when I realize it’s not serving the story. Mystic River by Dennis Lehane, most definitely. 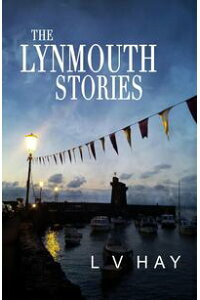 It is crime fiction, but also a great work of literature. The three main characters and their relationship tensions are beautifully depicted and everything is pulled together by a tight plot revolving around the murder of one of the main characters’ daughter, while also connecting their shared history to a traumatic event. It is a comment about place and society, and how victims of sexual offenders carry that event through their lives. Powerful stuff. I’m also a huge fan of Tana French and, of course, Patricia Highsmith. I have a hardback copy of The Monster’s Daughter to give away to one lucky reader! Simply CLICK HERE and comment for your chance to win. Giveaway ends Sunday, July 30th, 5pm (GMT). International entries welcome. Good luck!